It is summer, and you are in the mood to give your home some serious TLC. You want to create a new and improved look for your home, both inside and outside. Summer is the one time of year when you feel like you have the time to dive into these projects, and the weather is finally nice enough to spend time outside in your yard, fixing the deck, and redecorating the house. When it comes to giving your home a makeover, there are some things you can do that will make it easier for you and allow you to not overspend on things you don’t need. At JC Toland Painting, we know that a simple coat of paint or a stain on your deck could really improve the look of your home, but here are some other ways to easily improve your home’s appearance. If your landscaping is outdated, you may want to consider remodeling your yard. You will be amazed at how simply cleaning up your yard, adding some things, and getting rid of others that have bothered you for years can truly improve the look of your yard. Clean up your yard. Pick up any debris, trash, and anything else that may be clogging the area around your tree and plants. After your yard is free of the scraps from past years, it is time to think about what you want to change about your yard. Think about ripping up those ugly, old, and overgrown shrubs that seem to grow larger every time you trim them. Or tear out that bush that is consuming your walkway, making it hard to walk past every morning to get the newspaper. Think about replacing that flower bed with a larger patio, or just revamping the flower bed to look more lovely rather than like a pile of dirt surrounded by large bricks. Plant trees. Adding new trees to your landscaping can add something different to your yard. If you have a yard that is flat, boring, and mainly grass, add some dimension and flair with trees. Trees are a great way to give your yard interesting looks, add some shady spots, and give you yard a private feel. Trees can add color as well and are beautiful in the fall and spring, giving your yard a gorgeous, fresh look. The outside of your home is the first thing people see. If they see a sagging deck, cobwebs, and peeling paint, they may expect to find a ghost or two inside. Give your home the TLC it needs to look fresh and new! If you deck is sagging, have it fixed and enjoy being able to spend time on it. If you deck is in perfect condition, consider adding a new layer of stain to your deck is another great way to give your landscaping a rejuvenated appearance. 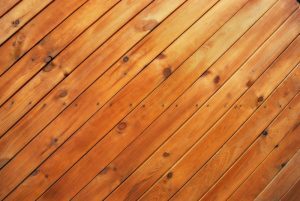 An old and dingy deck can make your home look older than it is but with a fresh stain, your deck can look as good as new and improve the overall aesthetics of your home. JC Toland Painting offers staining servicesthat can help give your deck the stain it needs to give your outdoor space life once again! Cleaning up the cobwebs, piles of leaves, and any other junk that has gathered in the nooks and crannies of your home, can give your home a more livened appearance. Giving the outside of your home a quick pick up could greatly improve the look of your home and help you start getting it back in tip-top shape. Peeling, fading, or worn out paint on the outside of your home could dramatically decrease the overall appearance. Give your home a simple makeover with a fresh coat of paint! This is the perfect time to update the color to what is currently popular or to the color you have always wanted for your home. Giving your home a new coat of paint and changing the color can give your space a completely new look! At JC Toland Painting, we will do everything we can to make sure your home’s exterior paint looks amazing. We will do an examination of your home, make a plan so the job goes as smoothly as possible, and make sure the weather is just right for the best results. A coat of paint can do wonders to a home’s exterior. If your home looks like it may need some love, give us a call! Now that the outside of your home looks beautiful and revamped, it is time to move on to the inside. There are a few ways to give the interior of your home a new look without remodeling the entire inside or buying all new furniture. Rearranging the furniture and decorations you currently have can give your home a new feel and an exciting new look. This is a great way to change the flow and style of your home without spending a dime! Switch up your couches, rehang your artwork, and swap out your mantel decorations for the ones in your dining room. This simple job can truly make your home feel completely different and new! It is a great way to spice things up! Get new artwork. Adding new decorations and art to your walls can give your home something new and interesting to focus on. A blank wall can get boring to stare at, but with new canvas paintings, 3D decorations, and other wall art, your walls can suddenly become interesting. Decluttering and getting rid of old junk you no longer need or moving stuff to storage can give you some extra space and help your home look cleaner and fresher. Removing old decorations that you no longer notice, ugly wall hanging, and rugs can change the dynamics of your home and improve the look and feel. Adding a fresh, new paint color to your walls can alter the look and feel of your home as well. If your walls are currently beige, make a bold move and add a gray-blue or a deep burgundy color to your walls. Wall colors can always be changed, so why not try something unique and daring rather than sticking to the same boring color throughout your entire home. Let JC Toland give you a hand and spruce up your space with a new and bold coat of paint! Your home will feel like a completely new place, adding some excitement to your life! 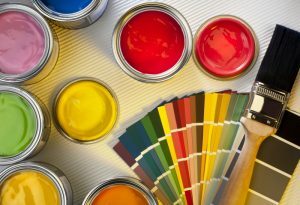 If your home makeover is moving along smoothly but you are still missing something, think about the paint on the inside and outside of your home. If your home needs a fresh coat of paint, JC Toland can help! Contact us today and get a free estimate. Your home will look as good as new, maybe even better, in no time!